With Retrospect 11.5 for Mac, opening the "Retrospect" or "Retrospect Client" preferences in System Preferences on Snow Leopard (OS X 10.6) and Lion (OS X 10.7) will cause System Preferences to quit and reopen. 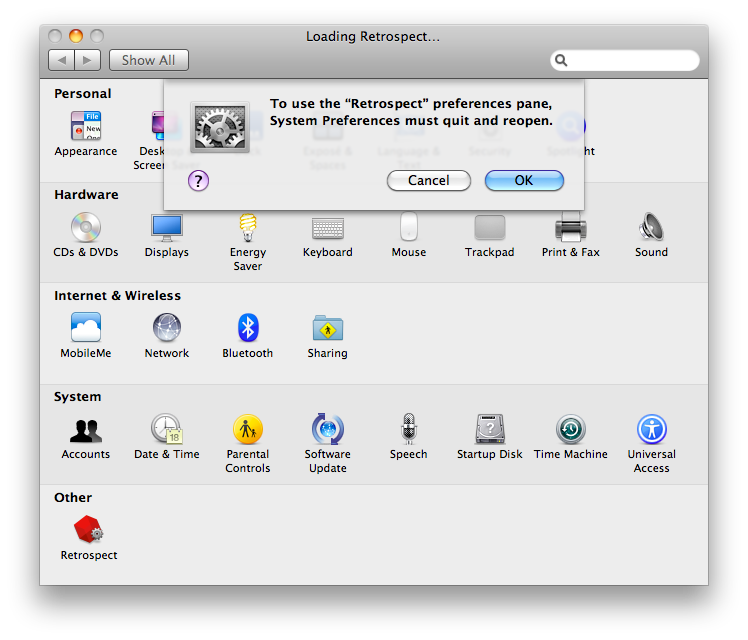 It will display the following message: To use the "Retrospect" preferences pane, System Preferences must quit and reopen. System Preferences will relaunch and display "32-bit" in its title. This message is normal, and both Retrospect preference panes will work as expected after System Preferences relaunches.